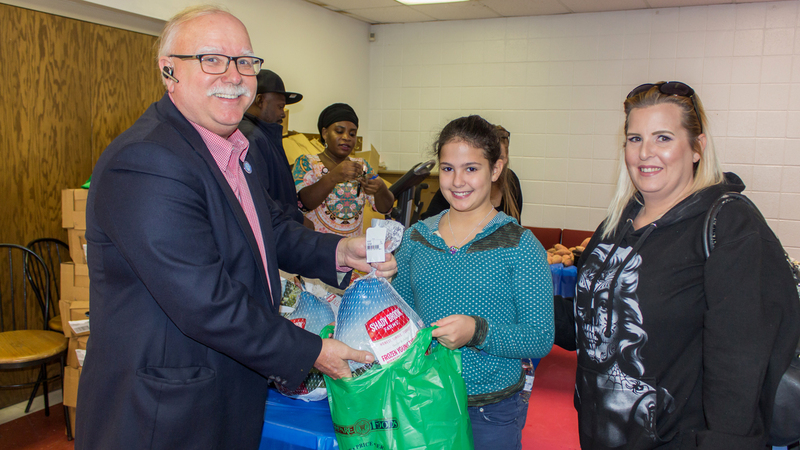 Bridgeport Landing Development (Steelpointe) and OPTIMUS Healthcare hosted a Thanksgiving Turkey Drive on November 21, 2017 at the Raphola Taylor Center, an occasion dedicated to providing local residents with a Thanksgiving meal. 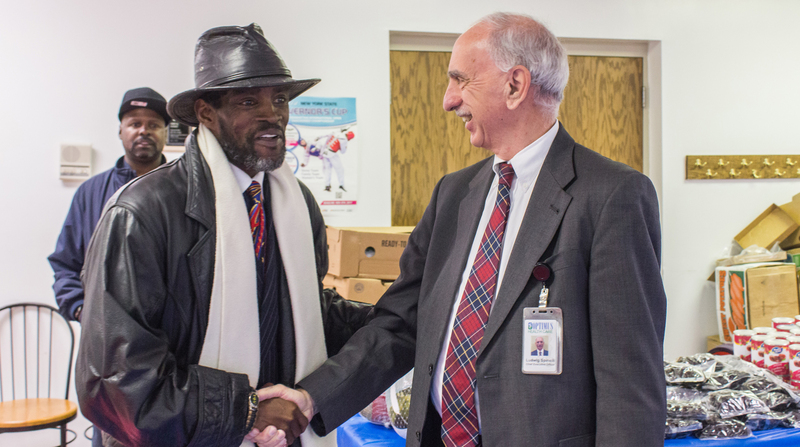 Through a generous donation from Steelpointe Harbor developers Robert Christoph Sr. and Robert Christoph Jr., OPTIMUS Healthcare was able to give away more than 150 turkeys, canned goods, and fresh produce to provide Bridgeport residents with a nutritious Thanksgiving dinner. 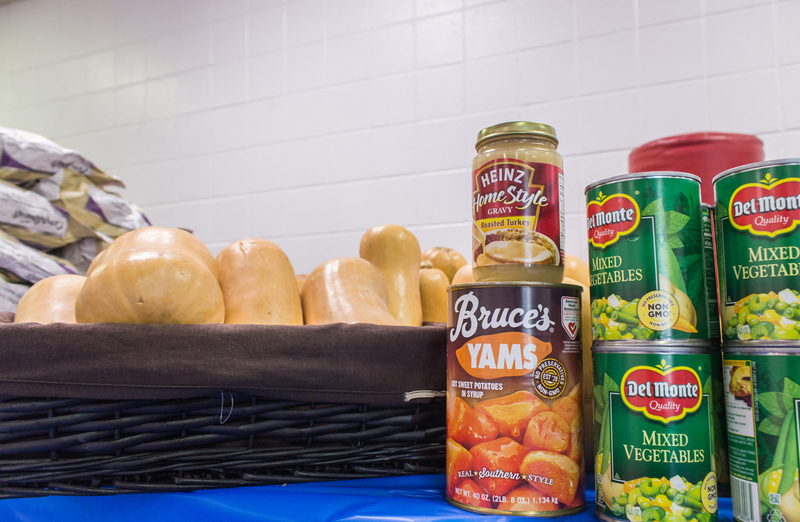 All of the produce was bought at Compare Foods Supermarket, located on the East Side of Bridgeport. 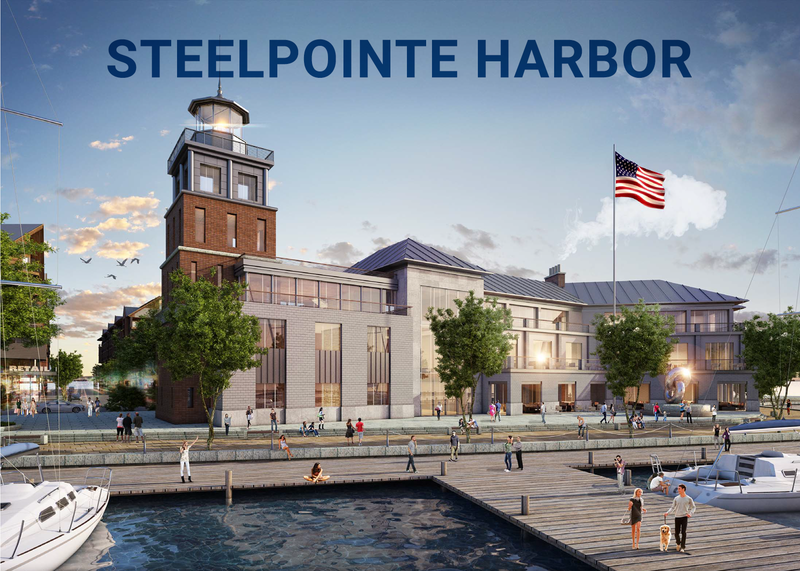 “We want to keep it here in Bridgeport. We want to grow local, buy local, shop local and give local. That’s what were all about”, stated Ludwig Spinelli, Chief Executive Officer of Optimus Healthcare. Steve Tyliszczak, Development Administrator for Bridgeport Landing Development, participated in the giving by sharing with Summer Cook and her daughter.